We’re not so much fans of James Bond as we are of Q, the hacker who supplies him with such wonderful things. There is a challenger to Q’s crown, [Naomi Wu] — code name [SexyCyborg] — built an epic gadget called the Pi Palette which hides a Linux laptop inside of a cosmetics case. You can see the covert mode of the Pi Palette below. It resembles a clamshell cosmetics case with the makeup and applicator in the base and a mirror on the underside of the flip-up lid. The mirror hides an LCD screen in the portrait orientation, as well as a Raspberry Pi 3 running Kali Linux. The base of the case includes a portable battery beneath the wireless keyboard/touchpad — both of which are revealed when the cosmetics tray is removed. An inductive charger is connected to the battery and [Naomi] built a base station which the Pi Palette sits in for wireless charging. She envisions this as a covert penetration testing. For that, the Pi Palette needs the ability to put the WiFi dongle into promiscuous mode. She wired in a dual dip-switch package and really went the extra mile to design it into the case. The fit and finish of that switch is just one tiny detail the illustrates the care taken with the entire project. With such a beautiful final project it’s no wonder she took to the streets to show it off. Check that out, as well as the build process, in the video after the break. Have you ever listened to a song and wondered how they created the robotic-sounding vocals? There’s a huge variety of ways to do so. [scythe1005] decided to take their inspiration from rock history, creating a Game Boy powered talkbox (Japanese, Google Translate recommended for those that don’t speak the language). Human speech is generated when vibrations from the vocal chords are shaped into intelligible sounds by the motion of the mouth, tongue, and other body parts known as “articulators”. A talkbox creates robotic speech sounds by using the articulators while replacing the vibrations from the vocal chords with alternative source. A talkbox is a device most typically used with the electric guitar. The signal from the electric guitar is amplified and played through a speaker or transducer connected to a tube that is placed in the user’s mouth. The user then proceeds to mouth the desired words they wish to say, with the vibrations provided by the guitar’s signal instead of the vocal chords. A popular example of this is Peter Frampton’s use of the talkbox in Do You Feel Like We Do. [scythe1005] used the same basic bones in their design, using a Game Boy to feed sound into a basic audio amplifier kit and a transducer connected to a tube. This gives a very 1980s synth sound to the vocals. It’s a simple build in concept but one we haven’t seen a whole lot of before. Using off-the-shelf modules, you could build something similar in a weekend. Also featured in the video is an ArduinoBoy — a useful way of controlling a Game Boy over MIDI. It’s used here to interface the keyboard to the handheld console. Video below the break. As we’ve seen before, the Game Boy is an incredibly popular platform for music — chiptune artists regularly modify the device for better sound. The world’s first public installation of a solar roadway caught fire or something. Hey hardware nerds in the UK! Nottingham is having its first monthly hardware meetup. This get together is being put together by [Spencer], creator of the extremely popular RC2014 Homebrew Z80 computer kit. The meetup is free, and it’s happening this Tuesday. [danjovic] sent in a link to this YouTube channel of a guy building stuff out of PVC sheets and CA glue. There’s a lot of stuff in here from a PVC tripod to instructions on how to get PVC sheets out of PVC pipe. Small warning: this is PVC, and it will kill you instantly, for reasons we can’t yet determine. Additionally, he’s heating PVC, which means cancer for your yet-unborn great-grandchildren. How it both kills you while still allowing you to breed is beyond our comprehension. That’s how bad PVC really is. NASA has updated their available software catalog. If you want to go to Saturn, you first have to go to Venus three times. Here’s a tool that packs batteries. You should build a router for the interplanetary Internet. Last week, we had a Raspberry Pi Hack Chat with [Roger Thornton], the principal hardware engineer at Raspberry Pi. We talked about the hardware that goes into the Raspberry Pi (and the new Pi Zero W), and gave away a few Pi Zero Ws to a few people on hackaday.io that had great ideas for a project. One of the winners of a free Raspberry Pi Zero W was [arsenijs] for his Raspberry Pi Project. This is a really great project that uses a Raspberry Pi and Raspberry Pi accessories. It’s pushing the envelope of what a Pi can be, and a free Raspberry Pi Zero W couldn’t have gone to a more worthy project. What are you doing the weekend of March 31st? We’re going to New Jersey for the Vintage Computer Festival East. This is one of the better cons we go to. Maybe this year we’ll organize a trip to the pinball museum in Asbury Park. What’s more fun than individually addressable RGB LEDs? Many, many individually addressable RGB LEDs. What’s more fun than all the miscellaneous soldering involved in connecting many of these cheap and cheerful strips together? Well, basically anything. 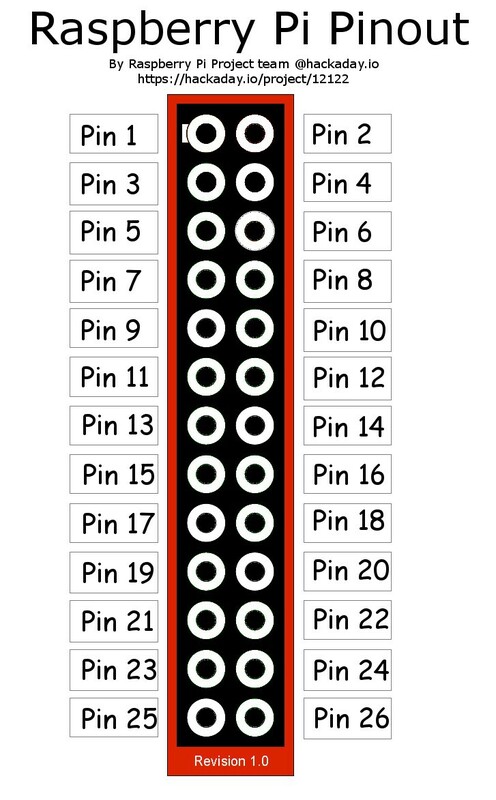 But in particular, these little widgets that [todbot] designed help make connecting up strips of RGB LEDs a snap. [todbot]’s connectors aren’t particularly groundbreaking, but they’re one of those things that you need the moment you first lay eyes on them. And they’re a testament to rapid prototyping: the mounting holes and improved routing patterns evolved as [todbot] made some, soldered them up, mounted them, and then made some more. We’d like to see some odd angles, of course, but that shouldn’t be too hard to arrange. Everything is up on GitHub, so you can go check it out. Of course, necessity is the mother of invention, and she’s got many kids. Which is to say that we’ve seen a variation of this hack before precisely because other folks have stared at this matrix-of-strips problem before and come up with similar solutions. Still, we really like the mounting holes and overall aesthetic of [todbot]’s solution, and if you ever find yourself joining WS2812 strips together, give it a try. [ProtoG] sent us in this video (also below) where he demonstrates the use of machinist’s dial-gauge indicator arms as helping hands. I’ll admit that I got so jealous that I ordered a pair. I wouldn’t say that I need more tools to hold things in place, but I certainly want them. The rapid coarse placement combined with fine adjustment looks so sweet. Using them as scope-probe holders is brilliant. Our own helping hands, purchased for $5 from a surplus shop, have seen nearly twenty years of use now. About ten years ago, I heat-shrinked and plasti-dipped the jaws, and since then they do less damage to cable insulation. The clips kept coming loose, but that was fixed with a little epoxy. I never used the magnifying glass, and by removing it I bought some more sliding room for the jaws, which was an easy win. The base has a “non-slip” coating of Shoe-Goo that keeps it in place on the desk. Cork might be classier. For bigger holding, there’s always the desk vise, though I’ll admit that I mostly use it for holding PCBs while soldering, and that a better solution for that particular task wouldn’t hurt. [Mike Szczys] tells me that the Stickvise seen here is a handy thing to have on the bench. It started on Hackaday.io and we still carry it in the store. For grabbing the fiddly little things, nothing beats a pair of hemostats and a range of tweezers. Hemostats in the desk vise make a great ad hoc holder. Good sharp tweezers pay for themselves with the first removed splinter, or placing SMT parts. Imagine yourself riding through the countryside of Tuscany in the morning, then popping over to Champagne for a tour in the evening without taking a plane ride in the intermission. In fact, you don’t have to leave your living room. All you need is a stationary bicycle, a VR headset, and CycleVR. [Aaron Puzey] hasn’t quite made the inter-country leap quite like that, but he has cycled the entire length of the UK, from its southern point to its northernmost tip. The 1500km journey took 85 hours over the course of eight months to complete. CycleVR is actually a VR app created using Unity. It takes advantage of Google street view’s panoramic image data, using Bluetooth to monitor the cycling pace and transition between the panorama capture points. So, the static images of pedestrians and cars clipping and distorting as the panorama images load might throw off the illusion at first, but there’s thousands of side streets and country roads out there where this won’t be as pronounced. Check out the highlight reel from [Puzey]’s journey after the break. A huge number of modern replicas of retro computers pass our screens here at Hackaday, and among them are an astonishing variety of technologies. Those who weren’t lucky enough to be present in the days when the building blocks of computing were coming together may have missed out on understanding gate-level operation of a computer. Put your super-powerful and super-complex systems-on-chip aside sometime and dig into the details of their distant ancestors. Most such machines follow a very conventional architecture, so it is something of a surprise to find a project recreating a modern version of something far more obscure. The Harwell Dekatron, also known as the WITCH, can be found at the National Museum Of Computing in Bletchley, UK, and [David Anders] is building a modern all-electronic replica of it. The original machine is currently the world’s oldest working digital computer, a hybrid electromechanical computer built at the start of the 1950s to perform calculations for British nuclear scientists. It was retired by the end of that decade and found its way — via a technical college, a museum, and a period of storage in a council archive — to Bletchley where it was restored to working order by 2012. Its special feature is the use of dekatron discharge tubes as memory, allowing an instant visual display of its working as it happens. [David]’s replica uses modern logic chips to replicate the building blocks of the Harwell Dekatron, and his write-up is as fascinating for that as it is for his study of the real thing in the museum. We ran into [Dave] showing off this project at the Hackaday Dallas event last year and are excited to learn of the advancements since then from his Hackaday.io page. He’s put his research and designs on GitHub, and a series of YouTube videos, the introduction to which we’ve put below the break.